So we just got our new to us truck back from the shop, and I’m tackling cosmetic and rust issues. I already detailed the interior. Side note: the chemical guys have an upholstery brush that attached to a drill. Unbelievable. Fantastic results. The dirt that came out was frightening. 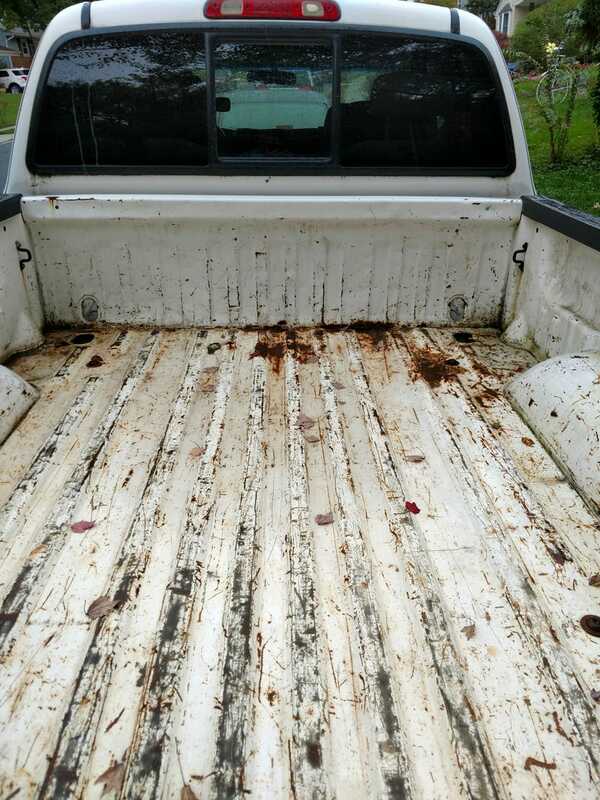 There are minor rust spots around the tailgate and lights, which I should handle without issue. The bed, has surface rust everywhere. Nothing serious, just 10+ years of project manager duty leading to minor scratches, which have rust. So, how to get rid of it? Do I just wire brush or sander? Some sort of rust converter or rust remover like Bullfrog or Rust-Oleum? Sand than prime? Once it’s done, were going with herculiner roll in bed liner.